Day after day is spent scouting out here for the 19 Bands that call this massive National Park home. As families are found, we record them and count them in the ‘found’ column of our records. Every year, it’s a puzzle to see which Band is found last. This year that Band happened to be Stallion Brutus. Day after day, territory after territory eliminated until one fine day, luck is on our side and we have that moment of meeting face to face for the first time in the season! It is always glorious and always exciting to finally find what we have been searching for for so many days! It is an honor and a privilege to then be able to spend time with the family. It never gets old and is what keeps us coming back for more, year after year! Great scouting and patience always pays off in the end! 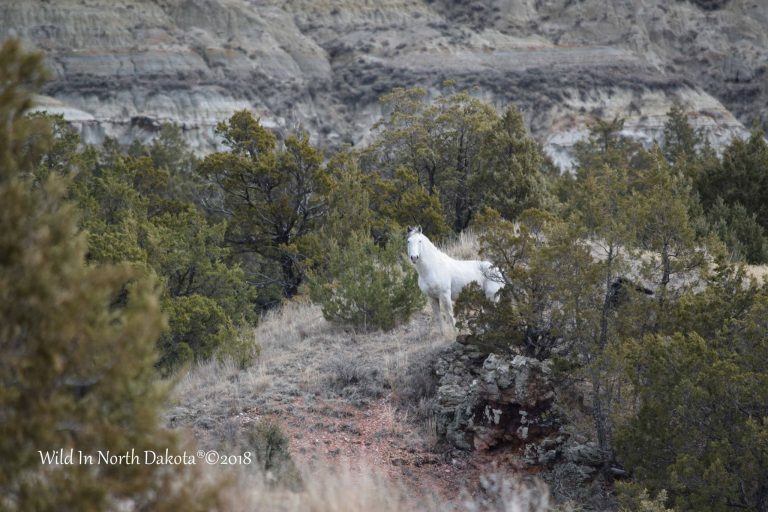 So, from my eyes to yours….Band Stallion Brutus in all his glory out here in the beautiful Badlands of North Dakota! Enjoy and make it a great weekend!